(Nanowerk News) As physicists strive to cool atoms down to ever more frigid temperatures, they face the daunting task of developing new, reliable ways of measuring these extreme lows. Now a team of physicists has devised a thermometer that can potentially measure temperatures as low as tens of trillionths of a degree above absolute zero. 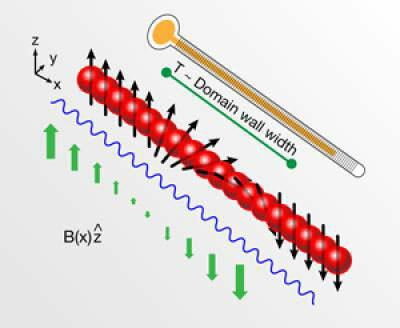 Their experiment is reported in the current issue of Physical Review Letters and highlighted with a Viewpoint in the December 7 issue of Physics.